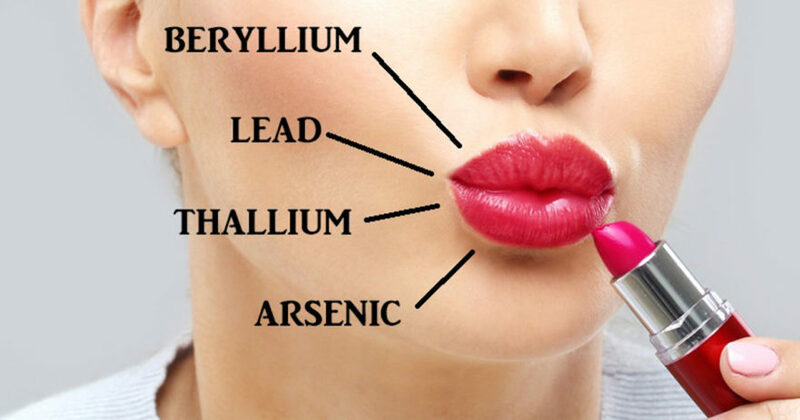 What is Lipstick Made of: Is Lipstick Full of Hidden Toxins? Could your lipstick be full of hidden toxins? Women of all ages use lipsticks and gloss to brighten or finish their look. But what they may not know is that these cosmetics could be harboring a variety of harmful metals. Since your skin is permeable, these metals are quickly absorbed into your bloodstream, causing havoc in your body. Many women are also guilty of licking their lips, causing the ingestion of theses chemicals too. Is There Lead in my Lipstick? 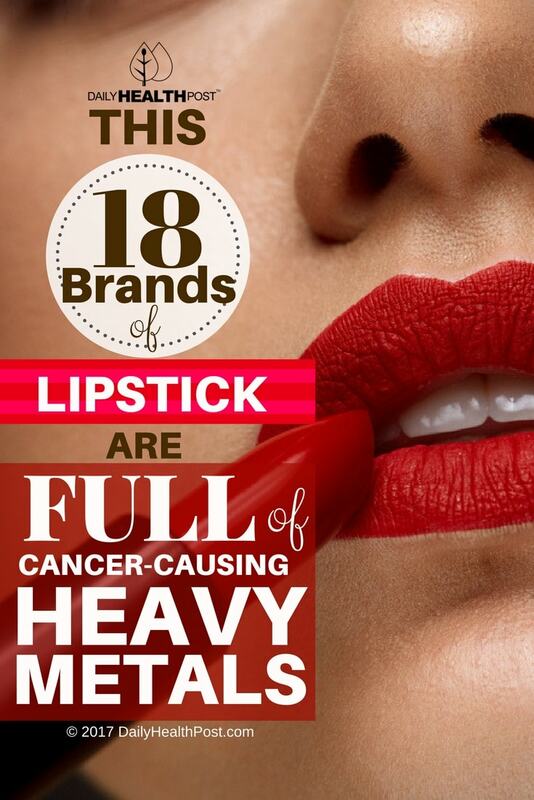 Although the FDA insists that the level of metals found in lipsticks is inconsequential, scientists believe that the long-term, daily exposure to these toxins could pose a serious risk. Heavy metals accumulate in the body, and over time, their presence can result in a wide range of health problems. On top of that, the FDA admits in an article titled, “Lipstick and Lead: Questions and Answers”, that there is currently no set limit for the amount of lead used in cosmetics (2). So, should you throw out all of these potentially dangerous cosmetics? Perhaps, but the most important thing is to exercise caution in the amount of exposure you sustain. Many women apply lipstick or gloss up to 24 times per day. Dr. Hammond advises that women at least decrease the number of times per day they apply. Two to three times will pose much less risk than 24. Choosing softer hues of lipsticks and glosses can also decrease your exposure. In Dr. Hammond’s studies, she found that the darker the color, the heavier the concentration of metals (4). Still, it seems that cosmetics manufacturers and the FDA should take responsibility for the safety of these products. Dr. Sean Palfrey, medical director of the lead poisoning prevention program at Boston University Medical Center agrees, saying, “It shouldn’t be a huge step for manufacturers to take out trace amounts of metals in a situation where they don’t know and we don’t know what’s safe for people who use them”.